Year 6 Is Going To Be Big! For those of you that know me well and have followed my career understand that I have 3 goals: 1) Provide Education for other instructors 2)Mentor others “pass it on” and 3) Build relationships. My workshops have been my small way of moving myself and others in that direction by bringing together the best instructors in the game to share their knowledge and expertise. I have selfishly grown as a coach through presenting and being around all of these great people who I am most grateful. This year I have put together another great lineup of expert coaches that will make for a fantastic day of learning and networking. Over the last 5 years we have had over 350 attendees (teachers, college coaches, PGM students, golf professionals) from 8 different states. This year I want to make it even bigger!! I am very fortunate to work at one of the finest golf facilities in the country in Carmel Country Club, so I hope you can join us at the 6th annual “Guru’s Teaching and Coaching Workshop.” Here are the details and our line up of speakers for this year. Jon originally from England, began his career as an assistant in the United States at CCNC in 1988. During his tenure at CCNC he worked for the legendary PGA member Buck Adams and played numerous rounds of golf and took lessons from E. Harvie Ward. Jon’s first Head Golf Professional position was at Landfall Country Club followed by Porters Neck Plantation, both in Wilmington, NC. In 1998 Jon moved to Atlanta, GA to open a learning center with GOLF Magazine Top 100 instructor and ABC commentator Gary Smith. Through a mutual friend Jon met Todd Townes, a performance-conditioning specialist who worked with several PGA Tour professionals, NBA, NFL, NHL and MLB athletes. Together they began working to improve their client’s performance. In 2007 Jon and Todd founded Terminus Club (now Fusion ATL) in Atlanta, GA. 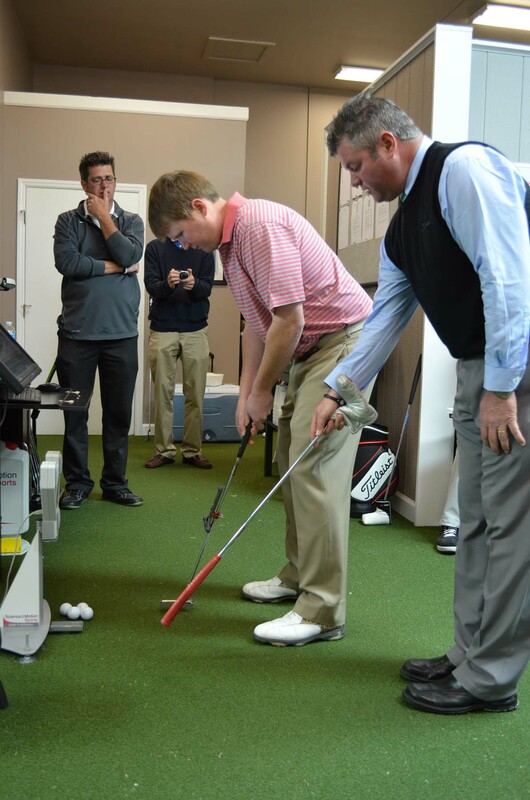 This facility became their base to measure athletic golf performance and develop training protocols. The facility has four physical therapists, performance strength coaches, stretch therapists, massage therapists, 3D motion analysis systems for swing and putting. Fusion ATL recently signed a partnership agreement with Peachtree Orthopedic Group and a marketing agreement with Northside Hospital to promote wellness programs and performance training to kids in the Atlanta Metro area. Jon has worked with PGA Tour, Web.com, LPGA, European Tour winners, members of Ryder Cup Teams and a winner of The Open Championship. In recent years Jon has coached winners of the following PGA Tour Awards: The PGA Tour Vardon Trophy Winner and Web.com Player of the Year. John Dunigan has been coaching for 26 years. He was named the Philadelphia PGA Section Teacher of the year in 2008 and 2016. He has been on Golf Digest’s Top Teachers in Pennsylvania list for eight consecutive years. John is a certified Laser Optics Putting Instructor, a program designed by world-renowned putting specialist, Mike Shannon, from Sea Island GA. He is a Titleist Performance Institute (TPI) Certified Fitness Instructor. John is also a Certified Golf Coach, through Dr. Rick Jensen, one of the top golf psychologists / motor learning experts in the country. John specializes in talent development, particularly with junior golfers. He understands that “talent is not inherited. It is earned.” His approach is based upon helping his students acquire the golf skills required to move through the four stages of learning and play the game at the expert level. 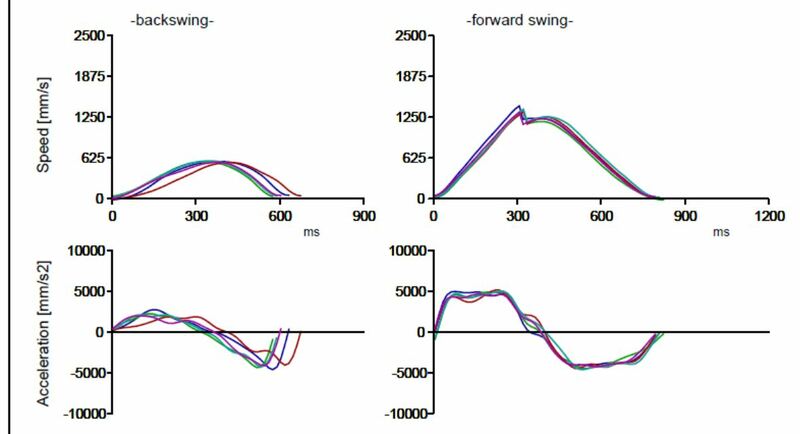 Many golfers get lost in a never-ending search for the perfect swing (which does not exist), rather than acquiring the essential skills of ball-control, decision-making, and self-control that are required to play the game at a high level. James Ridyard is a leading golf instructor, researcher and co-owner of the Short Game Secrets brand which brings some of the highest selling independently produced instructional videos to the industry. As an instructor he spends the majority of his time working with elite players and has spent time coaching on all the major professional tours but also ensures that he spends time working with players of all levels at his home base in the UK. James received the great honour of being invited to speak at the PGA of America’s Teaching & Coaching Summit in January 2015. Grabbing the opportunity with both hands James delivered one of the most talked about presentations of the summit, receiving great reviews from a large number of attendees. This success led to James being named as one of Golf Magazines Innovators in the 2015 list and an invitation to speak at his home PGA’s Teaching & Coaching Conference later in the year. 2015 saw James present to more than 2000 coaches and players across more than 10 countries working with various PGA’s and National Federations while continuing to research and develop his ideas on high performance wedge play. In a refreshing contrast to much of the teaching industry James isn’t one to shy away from sharing his information and sees every opportunity to present to a group as a chance to positively influence a larger number of golfers than he ever could on the lesson tee. While continuing to research and develop himself and his ideas James takes great pride in providing the highest level of full swing and short game coaching available, something you can be sure of is that no stone will be left unturned in helping you achieve your potential. Tim Cooke comes to The Sea Pines Resort from Hilton Head Island’s Long Cove Club where he was director of instruction. Formerly he was the head professional / instructor at Wade Hampton Golf Club (Cashiers, N.C.). Tim is also cofounder of GOLFPREP – an elite junior training academy. He holds a master’s degree in pedagogy from the University of Virginia. In 2009, Tim was awarded “Master Professional in Instruction” status by the PGA of America. 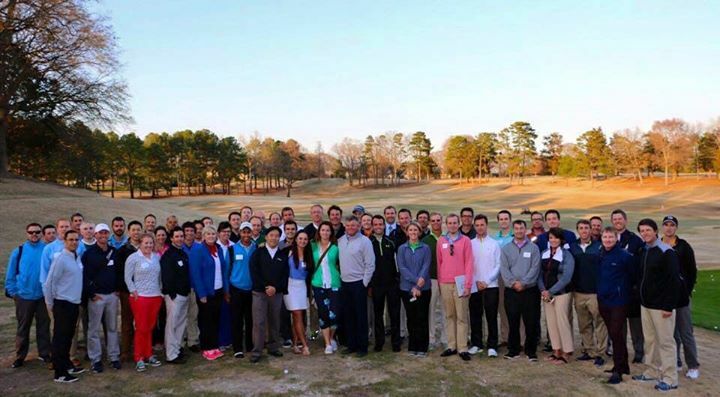 In 2014, Tim was named the “Teacher of the Year” for the Carolinas PGA Section. Due to his work with junior golfers, he was recognized as a “U.S. Kids Top 50 Instructor” (2009). Tim has been named to Golf Digest’s “Best Young Teachers” (2010 – 2015). Golf Digest also recognized him as one of “Best Teachers in South Carolina” for 2015 / 2016. In 2015, Tim was selected as a Golf Range Association of America Top 50 Growth of the Game Teaching Professional. In the past three years alone 15 juniors who have been coached by Tim have made the jump from junior to collegiate golf. Tim has also worked with, or is currently instructing, players on the Web.com, LPGA and PGA TOUR. Jason Sutton, originally from St. Albans, West Virginia, is a P.G.A. 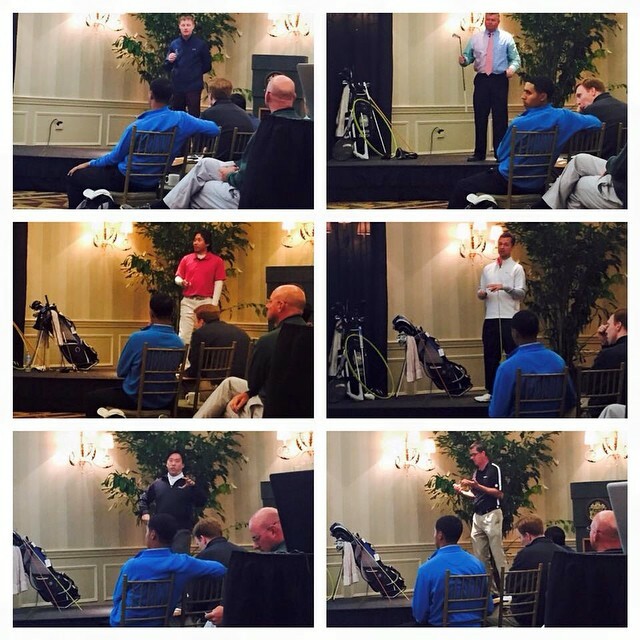 Class A Teaching professional and the Director Of Instruction at the prestigious Carmel Country Club in Charlotte, NC. 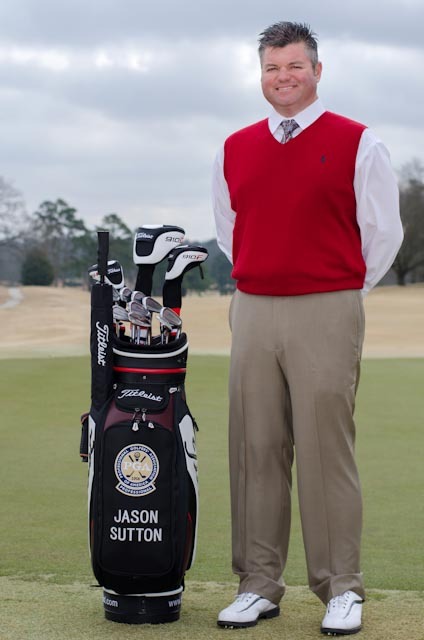 A former Head Golf Professional, Jason has been teaching and coaching golf for 24 years. 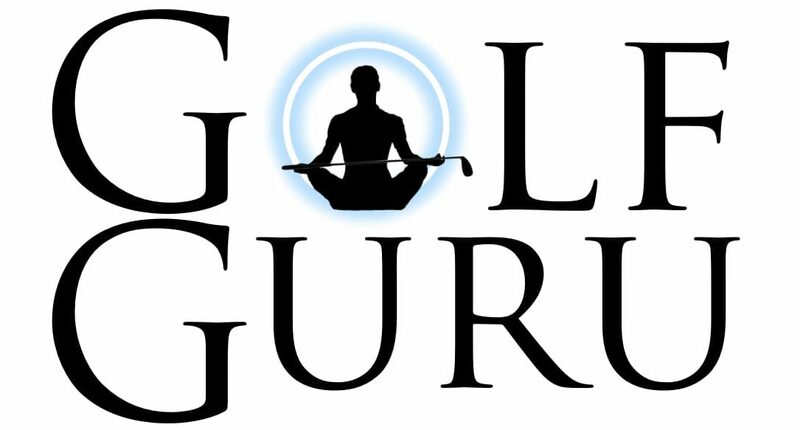 Nicknamed “The Guru” by one of his colleagues and referred by his students, Jason was ranked #4 in North Carolina in 2013 and #9 in 2007 by Golf Digest. He was voted one of the top teachers in the South East Region by Golf Magazine in 2006. Jason has is one of the newest members of the Golf Magazine Top 100 Teachers in America list. Jason Coaches golfers of all abilities but specializes in teaching Mini Tour players, low handicappers and elite juniors. He has coached numerous players on the Web.Com, PGA Latin America, Swing Thought tour, LPGA and Symetra tour and Division 1 college players. He is Aimpoint certified and uses technology such as Trackman, SAM Putt Lab and Boditrak pressure mat in his training. Jason has published many articles in magazines such as: Golf Illustrated, Publinks Magazine, The Turn Golf magazine, Metrolina golf, Triad Golf Today, travelgolf.com and golfinstruction.com. He maintains a very active golf blog called golfgurutv.com. He has been a regular guest of popular radio shows such as: Global Golf Radio PGAtour.com with Virgil Herring and Ned Michaels, The Dewsweepers golf show on Sirius/XM PGA Tour radio with Tony Ruggerio and Maginnes on Tap with John Maginnes. Big thank you to all of those who have supported this event in the past. Please don’t be afraid to share by using the share buttons at the bottom. Let me know if you have any questions and I hope to see you in March!! If you are interested, please email me at jsutton@carmelcountryclub.org and you can pay through my paypal account. Here is a few clips of the all of the presenters so you can get a taste of how the product came out. 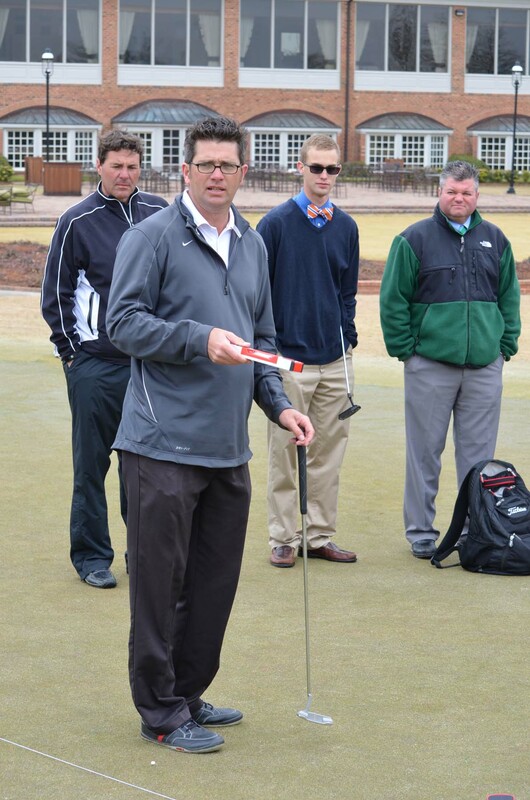 Jason Sutton, Jason is the Director of Instruction at Carmel CC in Charlotte, NC and is the 2013 Carolinas PGA Section Teacher of the Year, will be hosting a workshop designed to take your teaching and coaching skills to the next level. Jason will share the knowledge acquired from over 23 years of teaching experience and thousands of hours on the lesson tee which will include his framework for teaching full swing and putting, keys to success through personal development and will also unveil his putting research using the SAM Putt Lab data and how to use it to help your students improve their putting. 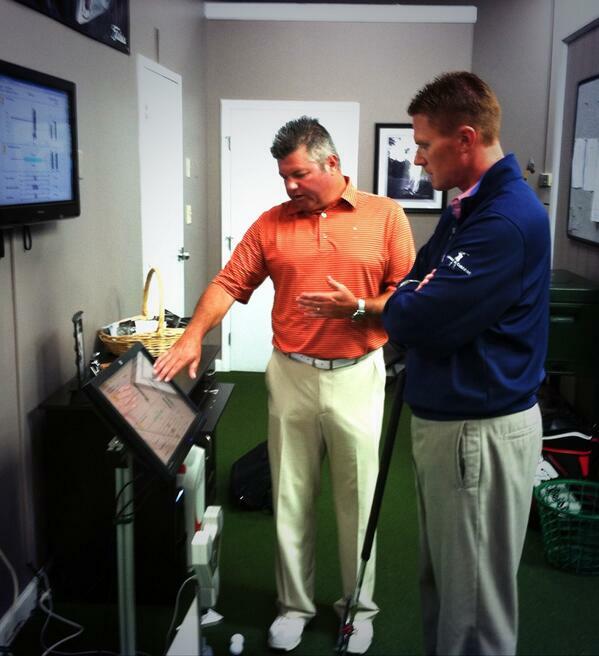 Jason utilizes technology such as TrackMan and SAMPuttLab to help his students improve at an accelerated rate. John Graham. John is the Director of Instruction at Webster Golf Club in Rochester New York, Ranked #21 in New York by Golf Digest, A Senior AimPoint green reading Instructor that specializes in teaching putting. John will discuss the common myths in putting and green reading and share how to properly assess your students in a putting lesson coupled with SAMPuttLab data research on real life situations. He is also expert in social media and will share his story of how social media has helped him grow his business and how it can help you and your facility. Andrew Rice , Andrew is the Director of Instruction at Berkeley Hall where his students learn to understand, and better control, the factors that influence the flight of their golf ball. 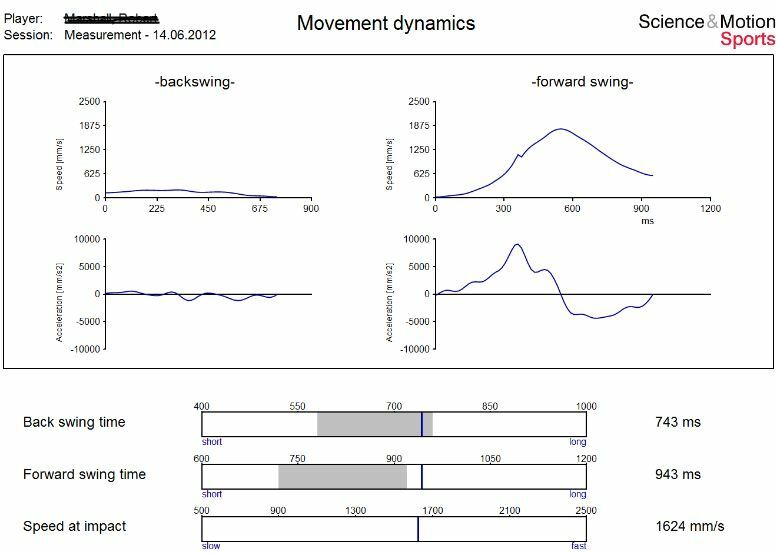 He has been teaching golf for almost 25 years and uses current teaching technology such as TrackMan and Swing Catalyst to help golfers of all abilities improve. He is one of nine TrackMan Partners and is also a SwingCatalyst Ambassador. Originally from South Africa, Andrew Rice has been involved with the game of golf for more than 35 years. Andrew will share his experience with teaching with TrackMan and Swing Catalyst to help his students improve. Hope to see you at the 2014 PGA Merchandise Show!